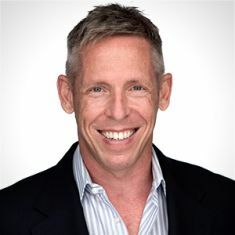 John O’Connor is a seasoned executive with extensive management, program, strategy, media, fundraising and advocacy experience in dynamic foundation, corporate and nonprofit organizations. With over 15 years in cause-related work and a strong record of accomplishment, particularly within the health and wellness of the LGBT community, he brings strong leadership to projects. Representing HMA Community Strategies in California, he is focused on supporting community stakeholders of all types to connect, plan strategically and have the expert resources and support needed to make their programs more successful and bring them to scale. As a former nonprofit executive, he brings the persistence, fearlessness and tenacity required to problem solve in the face of enormous challenges. As the executive director of Equality California and the Equality California Institute, John brought stability to the organizations and repositioned them to, among other things, focus more effectively on community health and wellness. Through strong program development, foundation outreach, government funding expertise and public policy advocacy, the health work grew to include research, public education, enrollment, forums and panels, and coalitions to advance shared agendas. As the executive director of the LGBT Community Center of the Desert, O’Connor oversaw a dramatic expansion of counseling operations specializing in LGBT senior care and a youth anti-bullying program operating in the local school district. In addition to a track record of success in securing grant funding, John has directed grant making for two of the largest LGBT national funders, The Gill Foundation and the David Geffen Foundation. From operating gifts and capital naming gifts to multi-year capacity building grants, he has operated successfully for years in the grant world, on both sides of these partnerships. John attended Georgetown University, and while there learned and was inspired by the powerful role that public policy plays in daily life. An Eagle Scout, marathon runner, five-time AIDS Ride participant and a triathlete, John lives in Los Angeles with his Great Dane canine companion, Olive.